The ability to have your carefully crafted emails delivered to your mailing list is essential. After all, your customers cannot buy your products or respond to your offers if they never receive the emails you send. When you send your messages with SendBlaster it is just as important that your emails render properly once they are delivered. 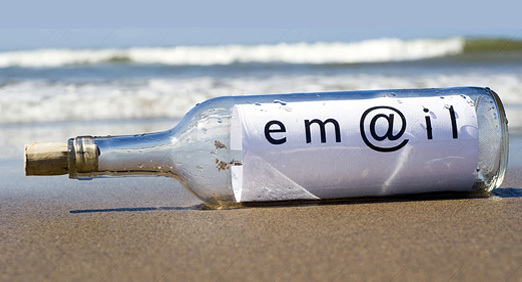 An email that does not display properly is just as bad as an email that never arrives at all. This combination of deliverability and renderability is what we mean when we talk about deliverenderbility – a term coined by Mark Brownlow a couple of years ago. He claimed that “the two are connected because some tactics we employ to get more emails to reach the inbox also allow more functionality in those emails“. We can’t agree more. It’s still so true that we can consider deliverenderbility as the key to the success of any email marketing campaign. But, how can we achieve it? Email certification is one of the most popular methods for not only getting your emails delivered but making sure they arrive in the format you intended. Using a service like Return Path to certify your emails helps ensure that any links, pictures and videos arrive with the email instead of being stripped off before the message reaches the user’s inbox. Actually, achieving the perfect balance of deliverability and renderability is what deliverenderbility is all about. To achieve that goal, email marketers should use their own good judgment, along with some best practices. For instance, it is important to use caution when embedding pictures and images into your email messages. We all know that visuals get the attention of the reader, and that they can boost response rates and positive impressions. The key is to limit the size of those images, since the size of the message can impact both its deliverability and its readability. Limiting the overall size of the email to no more than 90kb is the best way to ensure that your marketing messages arrive intact. The number of images in a single message can also impact the deliverenderbility of that message. Email marketers should avoid messages consisting only of graphics. Using text-based messages enhanced by one or two pictures is fine – using only images will probably impact both the delivery rates and read rates of your marketing messages. Taking the time to analyze your current marketing practices is the best way to ensure the deliverenderbility of your messages. Understanding how messages are rendered by email clients and how they are viewed by users is the best way to ensure the success of your marketing campaigns.